I have a passion to see my two sons fully house trained... that is, knowing how to do those simple things that a lot of guys don't have a clue about when they get married... like making their beds properly, doing the dishes well, cooking a good meal, knowing how to iron a shirt etc. I've given up on Mandrake with a few of these, so I have decided to focus my efforts more on the boys. I had to laugh today as they were doing the dishes (I usually quickly wash any precious plates or breakables before they start)... and as I walked in to check on them, they looked so little, and were singing away together and laughing... and it brought back so many memories of me and my brother doing the dishes together growing up... special memories! 2. Setting the table for meals... check! 3. Baking & cooking... working on it (they might have to borrow Daddy's "How to boil an egg book")! 4. Ironing their clothes... might wait until they are a bit older for that one! 6. Vacuuming... working on it! 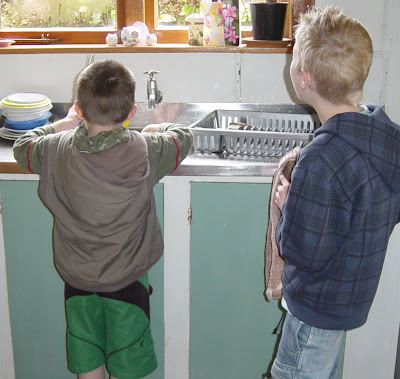 I think it is so important that both boys and girls do the housework and learn how! Kudos! I"m absolutely with you! 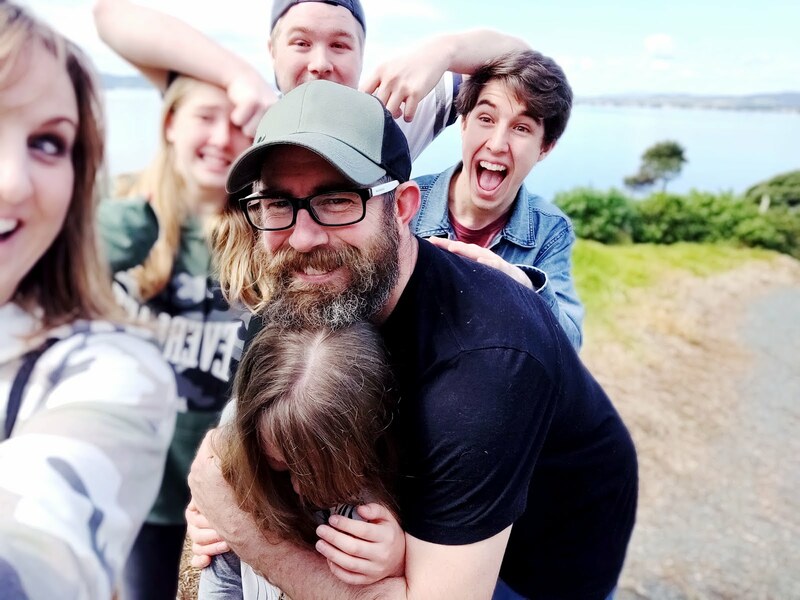 I mean, realistically if my boys go out into the world to be missionaries or whatever they're gonna need to know how to look after themselves. There's nothing worse than a man who does not know how to pick up his socks or know how to help his wife with the housework. Jason - you are the guy who brought fruit crumble around the other week... that you had made! Mandrake wouldn't even know where to start with something like that. I so agree here Kris........and guys don't you know how impressed us girls are when you do these things like pick up after yourselves, make us a cuppa, make dinner. The more we feel loved the more you feel loved so it's a win win situation.........it's not that hard to understand! I have to say, my WONDERFUL mother in law did a great job at house training my boy. and its lovely to have a man who will do the vacuuming, knows how to clean the bathroom, make the bed, do dishes, make simple dinners etc. One thing I have learned, is that he will not always do it exactly how I like it (ie. to my standards), but he does it, and I appreciate him for it!